Matt fires crowdsourced ME:A questions at BioWare producer Mike Gamble. 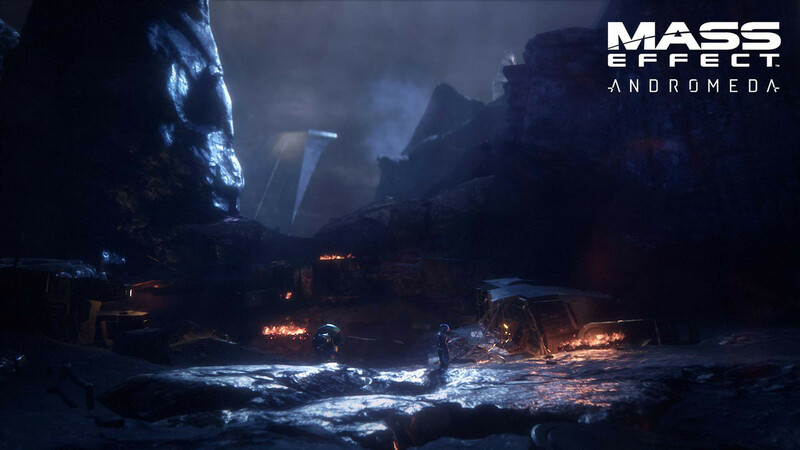 Q: What is Mass Effect Andromeda genre-wise? Is it an RPG with an action focus like Mass Effect 1, a story-based shooter like the latter ME games, or something else? Mike Gamble: [Laughs] Okay, so this is a bit of a non-answer, but it is actually both – probably more than ever before. When we started development, we focussed a lot on the RPG roots, bringing back many of the systems that we had not done in 2 or 3 like crafting and certain elements of progression. So we built up a lot of stuff around that. Originally I would say yeah it would be more of an RPG, but then in the last number of years we've had the ability to push our combat to an entirely different place than it was previously on the trilogy. It's a lot more fluid and a lot more smooth, and jumping and different gameplay mechanics really change it. So I think we've had pretty modest games across the board in both of those. It's not like ME1 or ME3 – I think it takes the best of both and kind of combines them. Q: What can you tell us about Sarah and Scott Ryder? Mike Gamble: Well, probably not much that you already don't know 'cos we don't wanna talk too much story. They are twins, they’ve basically joined the Andromeda initiative for very similar reasons, but the fact is that they are both looking for adventure. They are very different in terms of personality. I find that Scott and Sarah act differently towards different situations. So, Sarah responds maybe different than Scott responds, just depending on the situation and the personality of the people involved. Overall it's really fun to have them both as individual people in the game as opposed to what we did on the trilogy… it didn't really work. It worked for marketing purposes, but it is cool to be able to have your sister or brother present in the game. You can go talk to them and exchange certain things with them. Q: Does player-character gender affect the interactions, dialogue, or story? Mike Gamble: Sort of. The story is the same, but the options and voiceover and personality that comes out is different between Scott and Sarah. The writers have gone through to make sure that the responses that Scott says and the responses that Sarah says are different, because they're two individual characters and they're not the same person. Q: Are there any restrictions around item usage or class or any aspect of each character? Mike Gamble: Nope, there's no restrictions based on class or anything. We have a really cool profile system that we've included which allows you to change what we call a profile, which is a subset of skills. We don't have a class system, so you basically level up your character, you assign your points, and you can rearrange those points as you need to. You can select different profiles as they unlock that focus you on specific different areas. So there's an Infiltrator profile and a Vanguard profile, but if you're not cool with that you can always switch, and you can actually do it at any point. So if you see a combat that is much more suited to an Infiltrator, you pop open the main menu, you select the Infiltrator profile that gives you set powers that you can use to take that combat using an Infiltrator approach, then if something is up close then you switch to a Vanguard profile and go from there. There's no real limitations in terms of powers and weapons. We found that to be quite limiting for players so we got rid of it. Q: Will there be a cost associated with this respeccing? Mike Gamble: You can just adjust. We felt that putting a cost into it would eliminate players from wanting to do it as much. But of course, we've built the game around being able to do that. So you'll have different kinds of situations and combats where it would be very beneficial for you to change your profile, and you might have a greater reward if you change your profile. So by doing that, we just want the players to be able to do it, we don't want to punish them for it. Q: How does combat work compared to previous entries? Does it still have tactical pause, and the ability to direct/control squad members? Mike Gamble: We'll get more into the squad control in January a lot more. We don't wanna focus on tactical pause. What we do wanna do is make sure the gameplay experience is as smooth and seamless as possible. This is what I was talking about at the beginning of our conversation about improving the combat. So in ME3 we had I'd argue the best in the trilogy in terms of combat seamlessness and fluidity. We wanted to maintain that, so again we'll get into more details in January, but the turn-based style is not something that we're leaning into. Q: Is combat always required? Can you take a diplomat or stealth approach? Mike Gamble: Nope, I'd say that combat is required. True to Mass Effect, that's kind of the direction and vision we've always leaned into, and that hasn't changed in Andromeda. Q: Does alignment have any significant role in interactions? Does it have an effect on the world, or is it just you are good or bad (and feel good or bad for being good or bad)? Mike Gamble: There's definite implications based on the choices that you make. We've eliminated a strict paragon/renegade style system, so you don't have to choose a good or a bad – we found that to be quite polarising – although the icons were quite cool, the fact that people could do things differently. We wanted to remove the constraints around it. So now we've got a system in place where you can choose in conversations various kind of shades of grey. Because being a bad person in a certain conversation may be a thing that you should do or a thing that you want to do as a role-playing player, as opposed to being railroaded into, "Oh, if I do this I'm going to be a renegade player and I don't wanna be a renegade player so therefore I won't do it." We wanted to eliminate that. So we're measuring those choices on conversation levels, and then we do see the implications of those choices throughout the game. Q: Any changes to dialogue system? Are there any skills that change the responses that are available? Or are there multiple levels of responses? Mike Gamble: We'll go deep into that in January, but I think this is probably the deepest dialogue system that we've had. There's certainly more choices, there's more opportunities to know what you're doing on the dialogue wheel, and interacts are back, so whenever you are prompted with the icon to interrupt the conversation with an action you can still do that. But in general there are more choices in the conversations. We'll get more into that in January. Q: Is your inventory something you can manage, upgrade, or customise? Mike Gamble: Again we'll talk more about that – that's a pretty detailed thing. Right now there's no inventory management… actually that's not true. I'll just say we'll talk later. Q: Who is doing the soundtrack and music this time round? Mike Gamble: Again, we're gonna announce that pretty substantially coming up. Q: I know devs generally hate this question, but: can you give us an estimated hours for main story only, and for the side missions and main story on normal difficulty? Mike Gamble: I get this a lot and I give the same answer a lot, which is: nope! 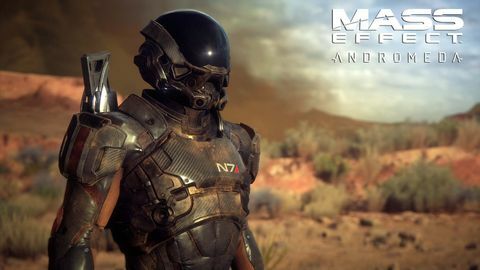 In general I like to say that there's more content in this Mass Effect than there is in any other Mass Effect game, so your readers can take their upper limit that they've spent on a single playthrough on normal in another Mass Effect game and increase that. That's kind of the promise that we're making. Having reviewed the content most recently, I feel like this is the longest with the most to explore and the most to do, and I think we'll stand by that. Q: Can you complete the whole story without ever needing to even acknowledge any multiplayer features? Mike Gamble: Yes. I think players are going to be pretty happy with how we've tied in multiplayer this time. Again, more details on that later, sorry. But, it is much different than it was on ME3. It's more elegant, and it really rewards players for engaging in the system. And that doesn't necessarily mean engaging in multiplayer: we have a system called the Strike game system which we are putting together, and that deals with the meta-story of what's going in with the rest of the settlers in Andromeda. Multiplayer is a component of that. Q: Is romance using the same 'everybody is potentially up for it because everybody is bisexual' system? Mike Gamble: No, everyone is not bisexual. It doesn't make sense for certain characters to be bisexual – it makes sense for certain characters to be straight or gay or whatever, and that's who the characters are. So we haven't blanket put everyone in as that [bisexual] because it doesn't work with the characters. I think we've done a really good job of representing most gender options, but again it's not something we can just blanket because that's not how real life is. Q: Will ME:A get a Steam release? Mike Gamble: Right now we've announced Origin, PS4, and Xbox One. Q: Are there going to be references to characters from prior Mass Effect characters in addition to the Shepard mentions confirmed earlier? Mike Gamble: Yep, for sure. Q: Will the lore archives on the Nexus house some of these characters' actions throughout the trilogy, and will they expand on things like the First Contact War, humanity's expansion into the traverse and previously unmentioned Citadel race histories? Mike Gamble: Yeah that's preeeettty specific. The codices and the archive are where we would put information like that, but I'm not going to talk about exactly what, because we can still add and subtract – even at this point. Q: Is there any hope of a remaster of the original trilogy? Like.... any? Mike Gamble: [Laughs] We're definitely focussed on Andromeda. Never say never – you never can because these things change – but right now all of the BioWare studios are focussed on new games and we don't wanna take away our focus on that. I would say in the very foreseeable future: no. But never say never. Q: Is Andromeda a series? Will saves carry over to the next one? Mike Gamble: Maybe? We don't wanna lean too far into that. 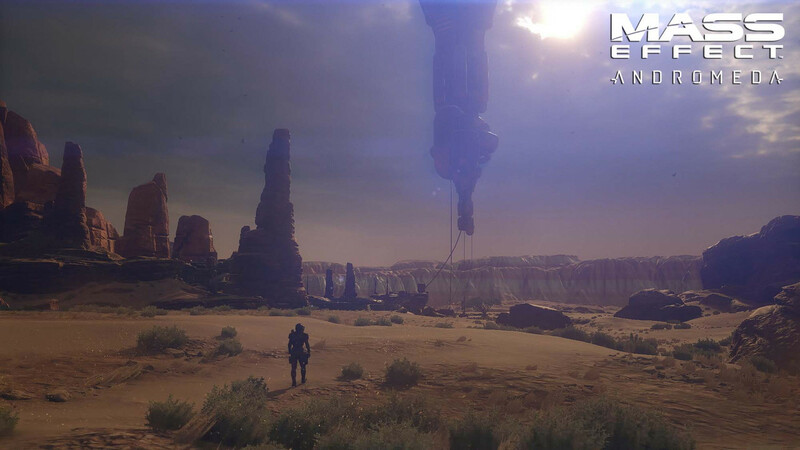 You could definitely call Andromeda a saga. We don't wanna say it's a two-game series or a three-game series. 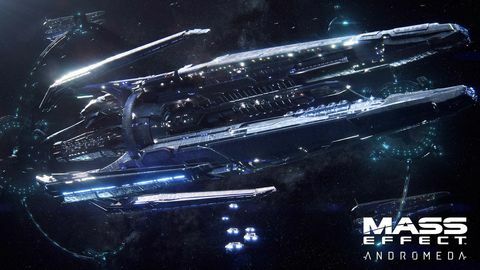 There are as many stories in Andromeda to tell as we want, and as many as you guy are wanting to play, and whether we want you to use your saved game for them or not, whether Ryder will be in the next one or not – we don't know yet. We just hope that you guys love what we release with Andromeda, and we'll go from there. Q: When are you hoping to release the multiplayer beta? Mike Gamble: We're talking dates and times now, so you'll have some information on that pretty quick. We're on the final stretch of deciding which dates to use. Developing Andromeda has been a pretty amazing and long effort from many of us. Some of us have come from the original trilogy like myself. Others on the team have brought fresh eyes and a fresh face to the approach of it. It's something that we're very proud of, and I hope that you and your readers embrace it and love it and give as much to it that have been putting into it over the last number of years. ◆ Thanks to everyone who submitted questions for Mike! Chris weighs in on BioWare's latest.